My power word would have to be Resiliency. All people, big and small, encounter challenges throughout our life journey. Learning the tools to help us face those challenges and what we learn from them are what allows us to move forward as stronger, more courageous individuals. I love that Sole Girls is about building a community of support and developing an attitude of strength, empowerment and positivity to help young girls to be as resilient as they can be. I have been involved in sports since I was a young girl. I began with competitive swimming and continued with that into my early 20’s when I began to coach young swimmers and adult triathletes in the pool. In elementary school, I began running cross-country, at the encouragement of my mom. I continued running throughout school and eventually I became involved in triathlons where I competed on Canada’s Junior National Team. These days, I enjoy lots of activities – walking with my dog, hiking, mountain biking, water skiing and yoga to name a few – but I still love to run. My happy pace has changed over the years. In the past, I was very competitive and always strived to improve my personal record. In recent years, I don’t compete as much and I take great enjoyment from my time out running and being active with friends. I love the great conversations that come up on a group run! My constant running partner, Yukon, is always game for a fun run on the pathways and trails near our house or just a good play outside. Now, my physical activity is more about taking care of myself and enjoying life instead of competition. My happy pace is what feels good in the moment and having fun doing it. I love the people I meet and the experiences I have along the way! Working with children and youth as a teacher for the past 20 years I’ve learned that their world is always so dynamic! I’ve gained some incredible lessons from the young people I’ve had the privilege to work with. 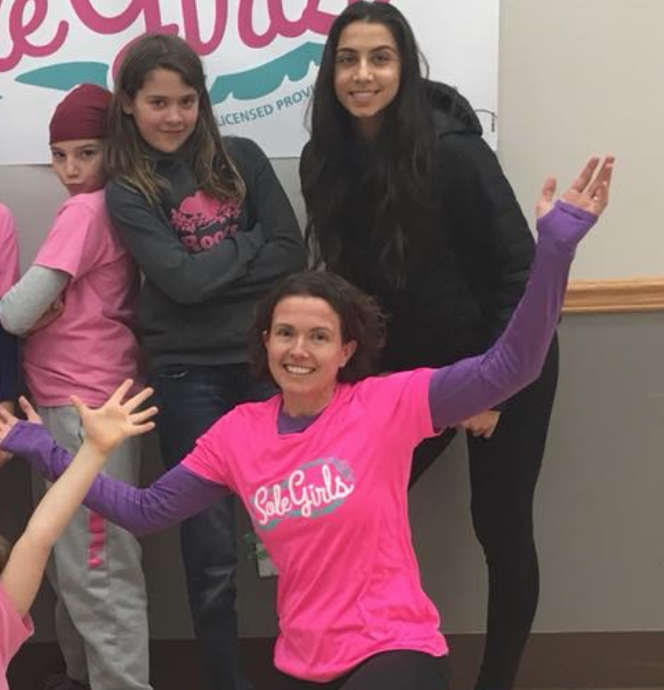 I’m excited to experience all the ways that my involvement with Sole Girls will enhance and impact my life as I hope to impact the girls who participate in Sole Girls Calgary.